The Texas representatives at the ITA All-American Championships all fell to the consolation bracket in Tulsa, Okla. Thursday. 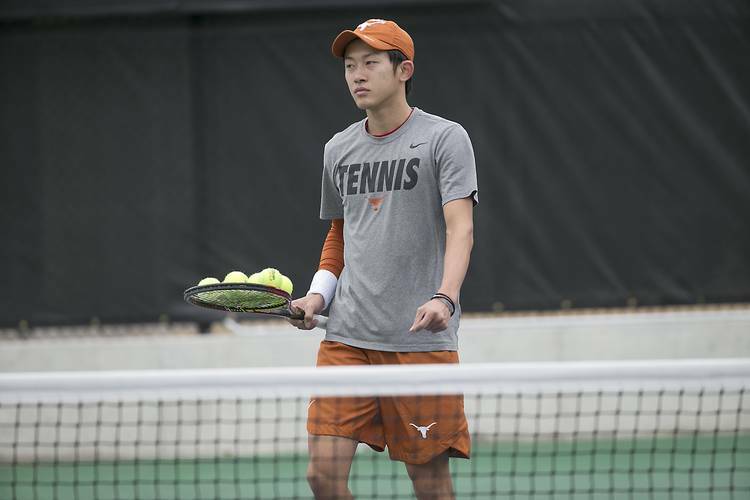 The Longhorns dropped four singles matches and a doubles contest on the day. No. 29 Yuya Ito fell in a hard-fought match to No. 22 Jan Zielinski of Georgia, 2-6, 6-4, 7-6 (3). Christian Sigsgaard fell to Axel Gellar of Stanford, 6-2, 7-5. Kody Pearson of Tulsa upset Harrison Scott, 6-4, 6-1 while Rodrigo Banzer fell to Kyle Seelig of Ohio State, 4-6, 6-0, 7-6 (5). In doubles, Martin Joyce and Hunter Tubert of Ohio State topped Scott and Sigsgaard, 6-2, 6-4.